Established in 1888, Bragaw & Co. was founded on a philosophy of offering personal, professional service. 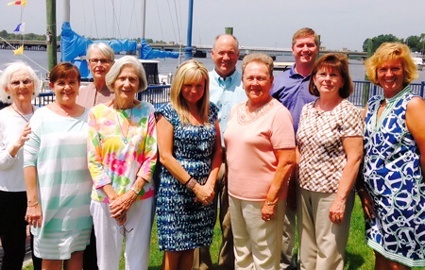 Since then, we have grown into a full-service agency with a staff of 8 insurance specialists serving Beaufort County and Surrounding Areas. We utilize a state-of-the-art computerized rating system that instantly compares rates of competing insurance companies for the same insurance coverage so that we can offer you the best possible rates. We represent a carefully selected group of financially sound, reputable insurance companies, and we place your policy with the company offering the best coverage at the best possible price. “Sure Insurance Since 1888” was as true then as it is today. William Bragaw, born in Washington, NC, April 28, 1866, and died May 24, 1953, started the business and at the time of his death was the oldest licensed insurance agent in the state of North Carolina, both in age and time of service. Those in the firm in 1905 were William Bragaw, H. Churchill Bragaw, John G. Bragaw, Jr., and Richard Bragaw. John G. Bragaw, Jr. joined the firm in 1902 at the request of his brother, William. John Bragaw agreed to leave the Cape Fear Bank where he worked, even though he was offered a substantial raise from the bank and additional raise from the Directors. For more than thirty years, he was a regular columnist for the Washington Daily News and also wrote for The State Magazine. Edmund H. Harding son-in-law of William Bragaw, went to work with Bragaw & Co. in 1924. Some years later he became the owner while becoming a nationally known after-dinner speaker and being known as “North Carolina’s Ambassador of Good Will”. In May 1966, Washington and Beaufort County celebrated Edmund Harding Day to honor him for his contribution to the area. Julian M. Davenport joined the firm in 1953 after serving as an officer in the U.S. Army and working with a well-known insurance company. He also served as the Supervisor of the Washington Tobacco Market. This short history of Bragaw & Co. can not tell of all the distinguished service that these people have contributed to our area and beyond. Continuing service to this area, Murray “Bud” Lynch, Jr. became associated with Bragaw & Co. in August 1961, retiring as owner and president in August 1995. Mr. Lynch served as mayor pro-tem and as a member of Washington City Council, former Chairman of the Board of Adjustment, Chairman of the Building Committee for the Washington Police Center, former President of the Washington Board of Realtors, Member of the Life Underwriters of Beaufort County and was a recipient of the Jaycees Boss of the Year Award. Murray Walker Lynch, son of “Bud” and great nephew of Edmund H. Harding, is now President of Bragaw & Co. He is a Certified Insurance Counselor, this designation demonstrates professional competence in all major fields of insurance agency operations and insurance management. Continuing education is necessary each year for the professional agent to keep this designation. Walker is also a graduate of the Realtors Institute.